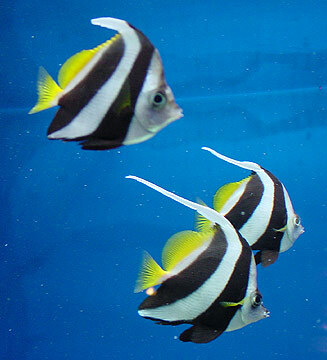 Peaceful and excellent community fish, only males are sometimes territorial towards one another. 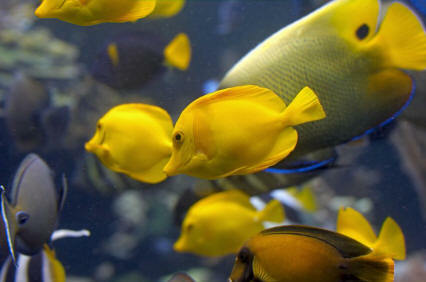 Please don t keep them together with aggressive fish, then they become shy and lose their beautiful colors. The tank should be well-planted on the sides and background and have a dark gravel substrate. In the middle there should be a lot of free swimming space. 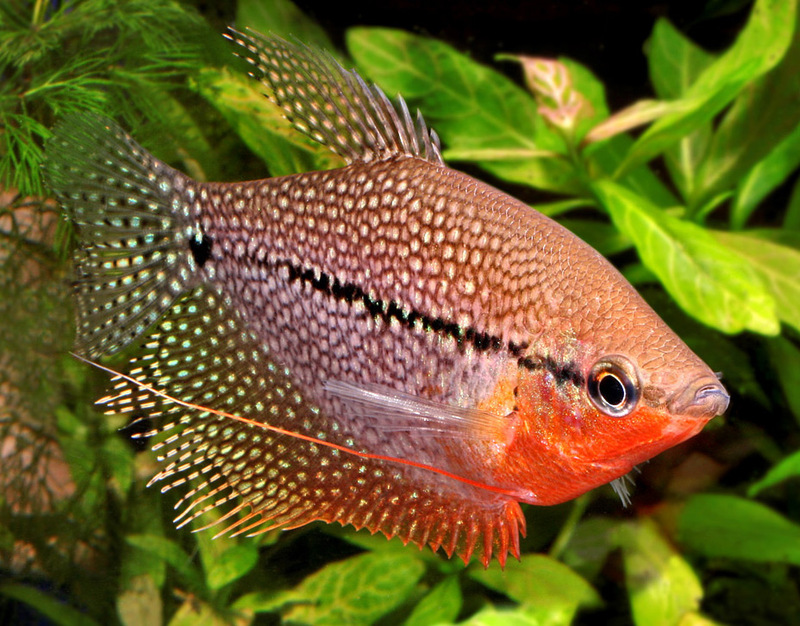 The lighting of the aquarium should be dimmed by some floating plants to bring out the colours of this fish better. Breeding is not difficult. The water level should be reduced to 12 cm (5"). A very large bubblenest is build and the eggs are laid in the nest. The male guards the nest carefully. When the young fishes are swimming free you should remove the parents. You can feed them with baby brine shrimp. 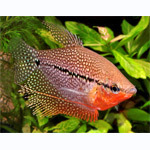 Bala Sharks, Barbs, Clown Loaches, Danios, Gouramis, Rainbows, one Red Tailed Black Shark or one Rainbow Shark. Not compatible with Cichlids. Take care when moving this fish, as it is vulnerable to fungus when the slime coat is damaged.